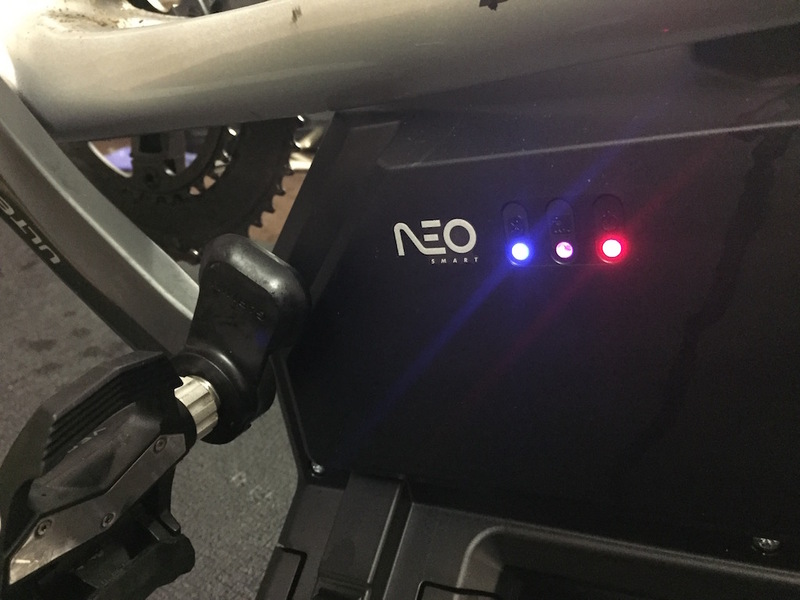 So I’ve been riding a Tacx Neo for about 1 month now – so its time for my Tacx Neo Long Term review update. The following post is a collection of thoughts and musing about using the device and how I think it is positioned in the market. I think its important that I point out, this is the second Tacx unit I’ve had used due to technical issues with the first unit. 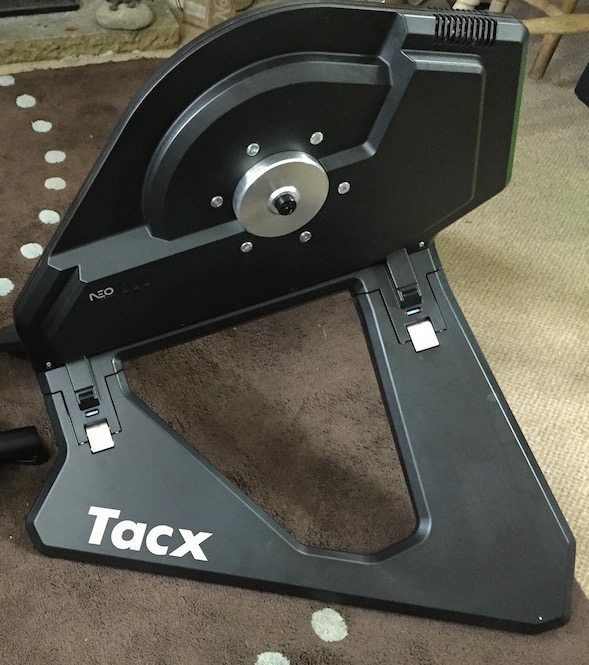 The TacX Neo is frankly, from a technology stand point, ahead of its time. If not ahead of its time, its certainly ahead of EVERYTHING else in the field. 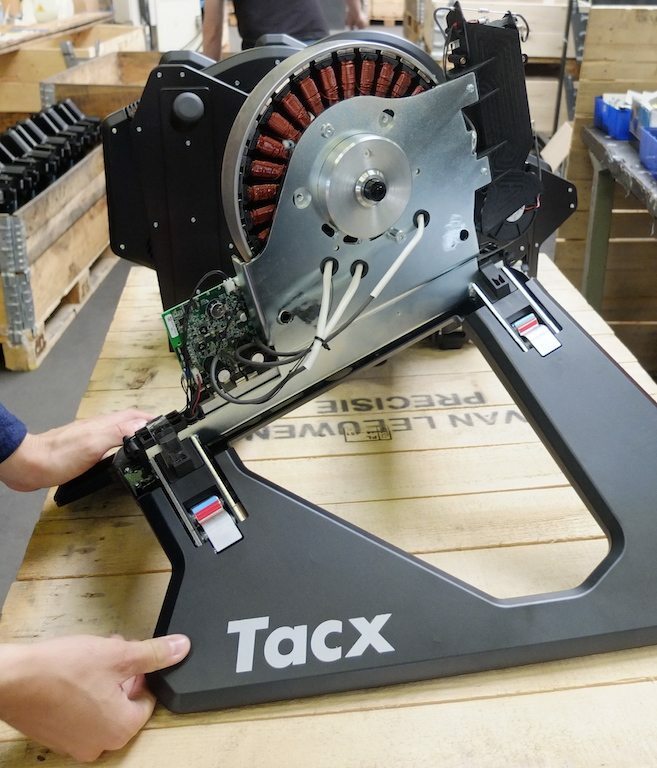 The direct drive unit is just an amazing piece of design. It’s this large metal disc on the side that lets the magic happen. 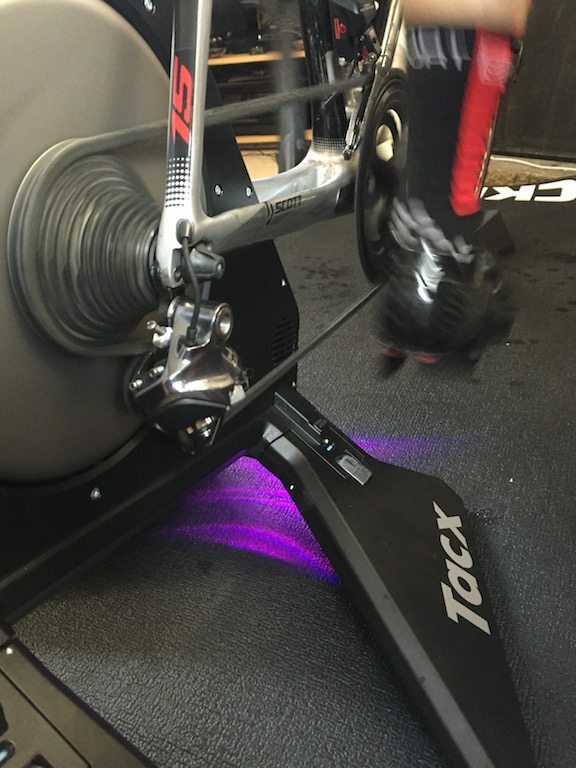 Rather than merely being an electronically adjustable resistance wheel, as is the case with all other smart turbo trainers, the Tacx unit acts both as a resistance unit, but also a motor when its plugged into the mains. I’ve used quite a few different turbo trainers, the down hill/free wheeling simulation is frankly a game changer. With every other turbo trainer, when you are using Zwift and going down hill, the resistance decreases, so you legs spin out faster, but if you stop, so does the turbo. There is no inertia effect. 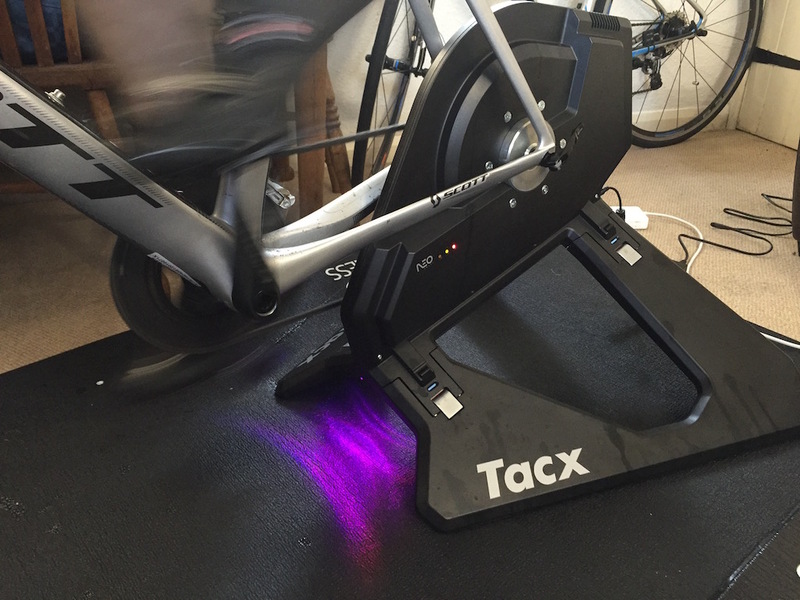 When the TacX Noe goes down hill – magic happens. You actually get a free wheel effect. 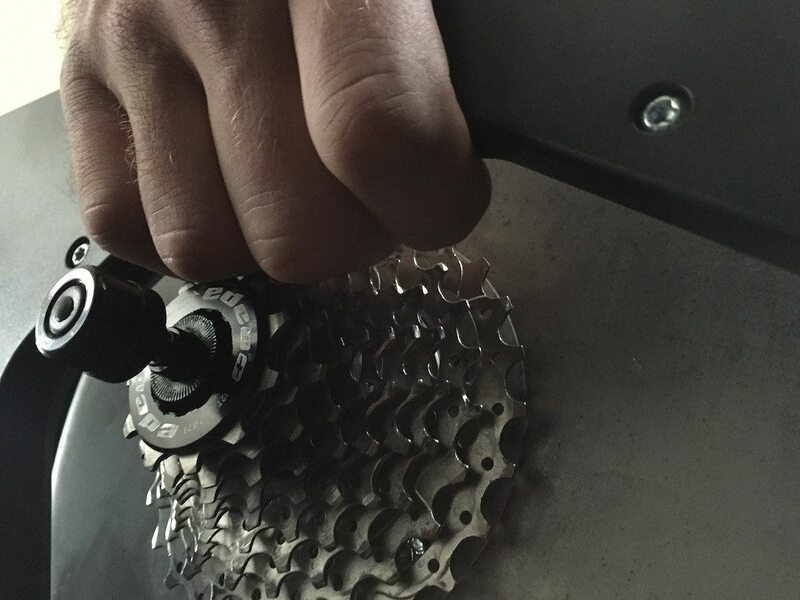 When you stop peddling, even take your feet off, the unit recieved the FE-C information from Zwift, not only releasing the resistance on the unit, but also putting a small amount of assistance to it, so you get the free wheel/gravity effect. I’ve tried to demonstrate this in the video below. The important part is listening to the sound that the Neo is making. The slight whine – I think its unreasonable to call the sound from the Neo a noise – increases as you go down hill. I still can’t get over how much I love being able to run the unit without power. Yes I loose the down hill ability, but its just COOL! I’m using my own wattage to make real watts! Well volts and amps, but hey, lets not get all physics nerdy, we’re cycle nerds and that’s it! I was thinking this was make it a great feature to drag Zwift and the Neo back out into the garden, to enjoy the sun, and Zwift at the same time. It would also be like biking outdoors!! If the locks were perhaps on the other side of the wings, yes less aesthetically pleasing, but it would be much easier to use. Another example here, is that the actual drive unit on the Neo projects out slightly, as a result, if you drop to the small cog on the front and the largest on the back, the rear deraillure can rub against the metal casing meaning adjusting the limit screws to try and find a happy medium between using the turbo and your usual wheels. Minor point, but its more merely my lack of engineering prowess, as I’ve talked to several people how have had similar issues. But the locking pins on my unit, on one side of the unit dont actually lock, so the unit opens VERY easily. The reason for this is on THIS unit, one of the back clamps which is supposed to provide friction against the frame…doesnt. So on the side which locks nicely, the back clamp rotates with friction as it goes over the plastic notch in the frame. As you can see in the video below, there is no rotation, and no friction there. I’ve actually had a look at taking the unit apart to try and move this myself, but for two points. One the back clamp is part of a fixed metal frame, where there doesn’t appear to be any adjustability in the design images, two for a piece of kit costing over £1000, I DONT think its reasonable I should have to take it apart and address quality control issues. Final point on usability, sometimes getting the bike to sit level on the turbo can be a bit of a fiddle. Maybe its the carpet, maybe it’s me, but it never just sat right straight off. I largely think this is due to issues with the piece of metal the skewer goes through on the non-drive side, not being quite long enough. This means the frame sits half on, half off the metal, and such can mean a 1% lateral lean on the saddle angle (yes I was sad enough to measure it). There is an adapter for WIDER placed chain stays, but I don’t think thats the problem here. Finally, bug happens, chains skips. Twice now, I’ve been on Zwift, changed gear and the unit has made some VERY unpleasant sounds inside. Sufficient that I’ve stopped riding to carefully move the pedals round until the noise passes. The tech inside the Neo is BRILLIANT. 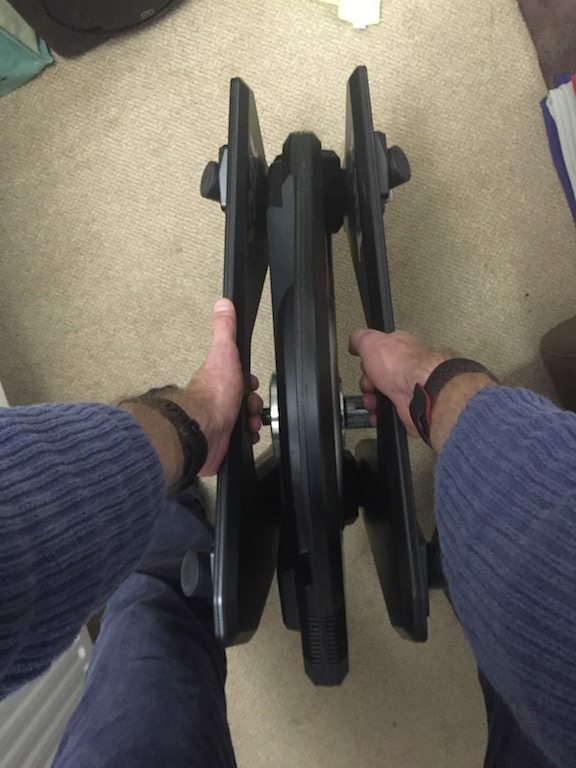 I LOVED using it on Zwift. It makes my KICKR look antiquated by comparison. I have grown to really enjoy the flex. Given the big wings on the unit, its shockingly well planted, which is something I was really surprised at. 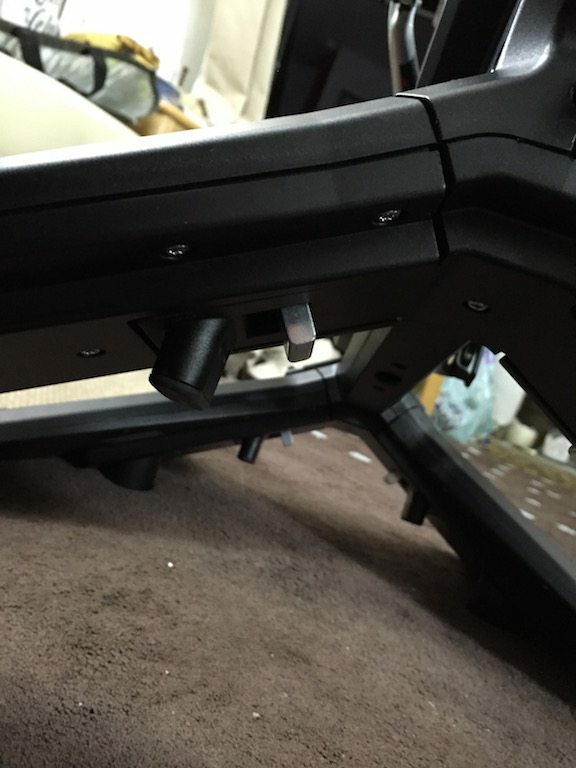 There is no issues with slightly uneven floors, the Neo is just good to go.